About Private Mortgage Insurance (PMI) | 1st Residential Funding Inc. If you are trying to decide if paying PMI is worth it when purchasing or refinancing your Florida home here is some information that may help you in your decision. 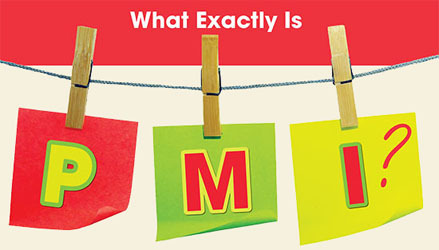 First, what is PMI? Mortgage insurance helps protect lenders and mortgage investors from severe financial losses in case a loan is not repaid for any reason. This insurance benefits lenders and investors, but it helps homebuyers, too. Because lenders are protected by mortgage insurance, they are willing to offer loans with a very low down payment – as little as three to five percent of the loan amount or, in some cases, with no money down. Mortgage insurance provides what the equity of a higher down payment would provide to cover a lender’s losses in the unfortunate event of a foreclosure. Mortgage insurance allows borrowers to purchase a more expensive home than they might otherwise be able to afford. Without mortgage insurance, lenders usually require a down payment of at least 20% of the purchase price. Even if you have enough money for a large down payment, you may prefer to to use it for other purposes such as money for home furnishings, maybe adding a pool, or other investments. “Splitting” your mortgage, also know as a Piggyback loan will eliminate the need for PMI while still enabling a small down payment of only five to 10 percent of the purchase price. This is done by taking 80% of the purchase price and put it on a traditional mortgage and take the remaining 10 to 15% and place it on a second mortgage. If you currently have PMI on your home loan you may be able to have it cancelled. The decision on when to cancel the private insurance coverage does not depend solely on the amount of your equity in your home. The final say on terminating a private mortgage insurance policy is reserved jointly for the lender and any investor who may have purchased an interest in the mortgage. However, in most cases, the lender will allow cancellation of mortgage insurance when the loan is paid down to 80% of the original property value. Some lenders may require that you pay PMI for one or two years before you apply to remove it. With the value of homes appreciating so rapidly you many want to consider refinancing to eliminate PMI while lowering your current interest rate. You may be able to save up to hundreds of dollars monthly by elimination PMI and reducing your rate. Call our loan professionals now at 1-888-854-RATE to discuss how we can help you eliminate PMI or e-mail us for more information.